Hosting for your Gallery3 website that just works. Servers optimized to give you the best Gallery3 experience possible. We’ll even install Gallery3 for you! We’ll move the Gallery3 site for you! Softaculous auto-installer – Install Gallery3 in just a few clicks. GD support – Needed for many Gallery3 plugins. Zend and Ioncube support – Needed for some Gallery3 plugins. 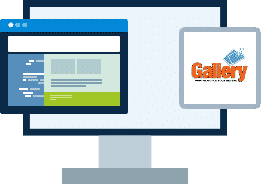 Gallery 3 is the newest addition to the Gallery Project’s portfolio of intuitive photo, video and audio sharing web application solutions. Upon its launch in the Fall of 2010, Gallery 3 offers more control, better uploading and enhanced performance. Its design is based on the the feedback provided by the Gallery Community of Users at large. Serving millions, Gallery is the most widely used system of its kind. Gallery 3, like its predecessors, Gallery 1 and Gallery 2, is free to download and use.